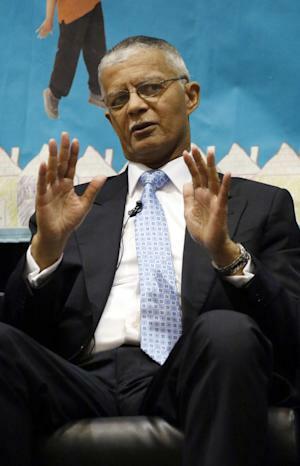 We are deeply saddened by the news that Mayor Chokwe Lumumba of Jackson, Mississippi, was found dead yesterday. Lumumba, a founding member of Malcolm X Grassroots Movement and a widely respected human rights attorney, was in the initial stages of launching a sweeping set of economic reform initiatives, built on a foundation of broad-based civic participation in Jackson. He was considered by many to be the most exciting, revolutionary mayor in the U.S. His Jackson-Kush plan centered on engaging all of Jackson’s people in a process of building a more just economy and a more sustainable and equitable future was a beacon, demonstrating how communities can be organized around the principles of justice and equity. We, and many others around the country, were eagerly anticipating the city’s success under Lumumba’s leadership. It’s a very sad day for lovers of justice and believers in change from within the system. May many, many more like Chokwe Lumumba step up to lead Jackson and other cities with boldness, clarity and integrity. The news is saddening. It is so important to honor the courageous people, the ones who step outside the norms of what is expected (sometimes because they never had the choice to be inside the norms) and to build a group who can effect change. I hope that those who were part of Mayor Lumumba’s team can carry on the shared vision of inclusion and equity. It’s taken me a while to get back to this. I met him in 1988 (I think?) at the College of Wooster. He was there with Nkechi Taifa keynoting a conference on reparations. They were being hosted by Imari Obadele (who was a visiting professor, and I’d spent the previous months shadowing him and digging deep into the Republic of New Afrika). I’ve always felt a particular honor and humility having studied under these lions of justice.